I was born in the home of the NHS, and it saved my life. I arrived, one Sunday lunchtime, at Park Hospital, Davyhulme, Manchester (now Trafford General), though I was far from being the first. 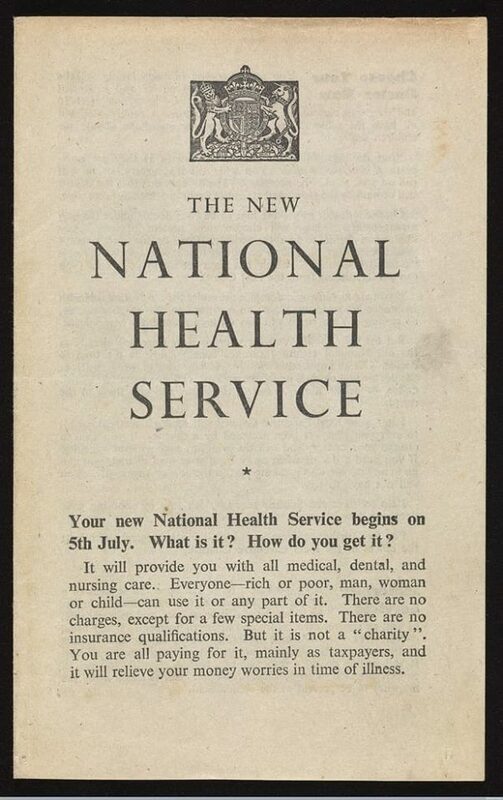 But some years before, on 4 July 1948, the tireless champion of free healthcare, the Labour health secretary Aneurin 'Nye' Bevan, officially opened the National Health Service on 4th July 1948 at that very hospital, where it gained its unofficial title. As he arrived Bevan was flanked by a cordon of heroic nurses. The health secretary had resisted enormous opposition from the Conservative Party, many in the medical profession and pharmaceutical companies, and even some from his own side, but succeeded creating the National Health Service Act under the postwar Clement Atlee government in 1946. Without that administration, Britain would be a considerably different, far less democratic place than it is today. The NHS founding principles were that services should be comprehensive, universal and free at the point of delivery. It was not a charity, but taxpayer-funded, and everyone – man woman or child – can use it or any part of it. Standard, relatively small prescription fees would then for general practice medication, and since that time we have gradually had to pay for dental and optical maintenance, but largely these principles remain. Who here wore the classic NHS specs, as sported by the likes of John Lennon in his young days? The NHS went national at midnight on 5th July 1948, exactly 70 years ago today, and one minute after midnight the very first NHS baby was born in a small cottage hospital, Glanamman, in west Wales. Her mother clung on just in time for the delivery to be free The baby girl was named Aneira Thomas, in honour of Aneurin. Since then her life has been saved several times by NHS staff, and mine was saved too, 20 years ago, when, but for a fast-thinking nurse, and then a doctor, and then surgeon who left a very small, neat scar, I might have died from a potentially burst appendix. And let’s not forget all the many others involved in what turned out, just in time, to be my even straightforward operation – from ambulance staff to other nurses, to the anaesthetists, orderlies, porters, cooks and cleaners. Dozens of staff are involved for each patient. All that would have cost an arm and a leg in America, or long before the NHS, who knows, when things go badly wrong and infections spread, both limbs, the patient biting on a rag, without anaesthetic. And the most remarkable thing is that millions of us have had similar stories. Lives being saved has become, not a miracle, but the norm, all thanks to Bevan and the thousands of fabulous doctors, nurses and other staff that make the NHS probably Britain's greatest and most precious institution. So that’s why, on this 70th anniversary let’s celebrate, in our own way, with songs nursing and healthcare. But let’s not just do this about the United Kingdom, but about medical care around the world. So this week’s song nominations could be about all aspects of healthcare, not just medical staff, but also medical procedures, waiting rooms, emergency rooms, X-rays, mental health specialists, therapy and therapists and all the culture that surrounds medical care, the most good and, yes, sometimes less so. Some of these have been tackled in the past, but there are always more, and nurses and nursing in particular and all the care, and feelings that come with them, is a new topic. Today the NHS is under increasing financial pressure. Theresa May’s mythical “magic money tree” seems to be available to pay for allies in Northern Ireland to keep her in a government majority, and to pay £5 million to supply 5,000 police for security in case Donald Trump fancies a golfing trip on his visit, but there’s not been enough for pay-rise to overworked and underpaid nurses who would be better off financially working in bars or cafes, and are often doing so, or to overstretched hospital doctors or GPs who train for years but are so unappreciated that they leave. Health services are a hugely emotional subject, but a potent one, because at the Song Bar I’m aware that there are at least two regulars who have, or still work at the heart of the NHS. We’d love to hear from you, not only with your song suggestions, but with your experiences and insights. Before the NHS, many of us may well not have made it, because healthcare was only available to those who could pay, or would have felt prohibited from getting treatment because of suffering it would have caused by debt. This is the system that still blights America, and has been a political battleground, because the US has never had a truly left-wing political party. The Democratic and Republican Parties have always, to a greater to lesser extent, been hand in hand with big business, who, since the 19th-century, worked to suppress unions. The UK's health service, meanwhile has been heavily dependent on immigrants to help run it. “The US has the most dysfunctional healthcare system in the industrial world, has about twice the per capita costs, and some of the worst outcomes. It's also the only privatised system,” said Noam Chomsky. Medicare, or Obamacare, was a attempt to address that, and what Bernie Sanders said has “the goal of real healthcare reform must be high-quality, universal coverage in a cost-effective way.” Donald Trump has been doing his best to dismantle it, but only resulting in costs to the government being even higher. America is affected by the philosophy of healthcare being determined by what Mitt Romney said should be “market incentives”. But health services are never about market forces. They are about pride and excellence and expertise. As Michael Moore observes: “It turns out Cuba has this incredible healthcare system for a very poor country.” This is true. They are still among the best in the world. And let’s not forget the famous duo of Kenneth Williams and Hattie Jacques in the bawdier Carry On Doctor, in which lust simmers messily under the tension of the hospital environment. Ooh matron! Ooh matron! Kenneth and Hattie in Carry On Doctor. 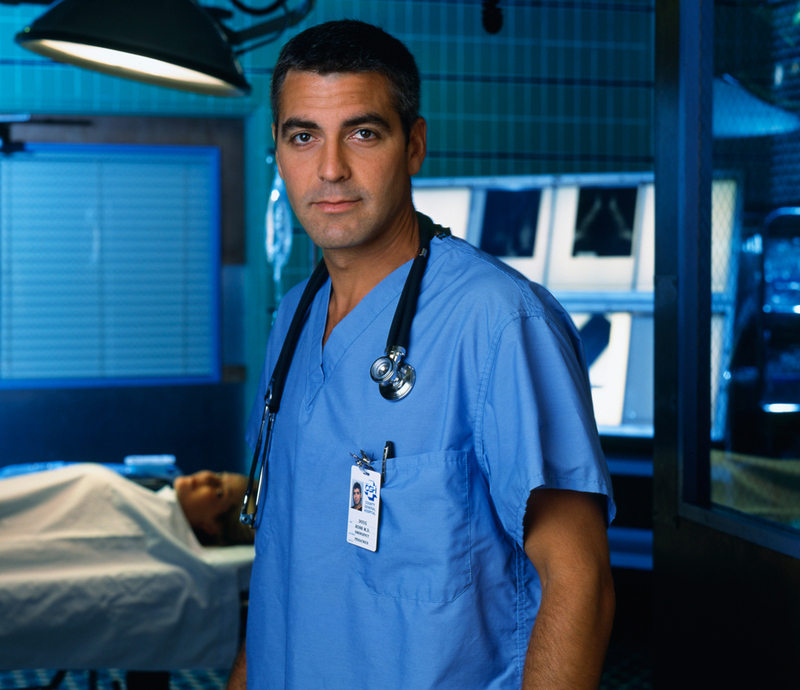 But what other medical staff might appear in songs? History includes many unlauded medical heroes and heroines other than the Crimean War’s Florence Nightingale, such as Clara Barton, founder of the American Red Cross, Mary Breckinridge, or Mary Eliza Mahoney, the first registered African-American nurse (1845 to 1926)? Over then, to our own prescriber of musical love, Dr Severin MD, who will see you now, and is also keen to champion this NHS as well as your many other songs about this topic. Our surgery is open, and song nomination deadline is Monday at 11pm UK time, after which treatment will be given and a successful operation will be complete published on Wednesday. Who's next! ?